Real Estate Agent. Aspiring New Yorker. I dubbed February "Renters Month" and shared my extensive experience with tenants' rights, rent stabilized apartments, and misleading apartment ads. I also got political and discussed proposed reforms, Amazon, and the real estate lobby. I actually wrote so much that I'll be sending this biweekly going forward. I did more advising than deal closing this past month, and although it's not how I earn a living, it's a hugely important part of my business. If you ever need help understanding a lease or want to know if a potential purchase looks safe (even outside of NYC), I'm here for you. If you have a random question about the commercial space in your building, just ask. And if you want to buy a really cute studio in BK, look out for my new listing going live in a few weeks! Until then, stay warm, and here's what happened during Aquarius Season, 2019. If you haven't watched Russian Doll, 2019's answer to Groundhog Day, on Netflix, you're missing out. On top of superb plot, acting, and music, the locations in the show are almost characters themselves. Brick Underground took a closer look and discusses what could be real and what is totally insane at the link here. + POOL is an initiative to build a plus-shaped pool in the East river that will filter the water and allow New Yorkers of all incomes to swim in our river again for the first time in a century. I only found out about the project last year, but they've been campaigning and planning since 2010. This month they had a major win when Community Board 1 recommended them to the mayor as part of the Brooklyn Bridge Esplanade. Read more here. How Can I Stop My Landlord from Raising My Rent? From an all-women class on how to negotiate (to better serve my clients, of course) to my new favorite pizza spot, here are my latest explorations and recommendations from the past month. Women Talk Finance hosts quarterly events that teach women financial skills in a judgement-free space. The most recent talk was with an arbitrator discussing the art of negotiation, but you can read recaps of all their events on their website. If you're interested, join me at the next one! Valentine's Day is over and now it's just dark and dreary February. To help your relationship survive the rest of this long winter, I've put together a list of cold-weather date night spots in different neighborhoods. Because long romantic walks along the Hudson in this wind are far from ideal. If my date spots aren't fancy enough for you, my senior broker Joe Quiros has you covered. Check out Joe's List for bougie places to eat, drink, and visit around the city. Compass is a licensed real estate broker and abides by Equal Housing Opportunity laws. All material presented herein is intended for informational purposes only. Information is compiled from sources deemed reliable but is subject to errors, omissions, changes in price, condition, sale, or withdrawal without notice. No statement is made as to the accuracy of any description. All measurements and square footages are approximate. This is not intended to solicit property already listed. Nothing herein shall be construed as legal, accounting or other professional advice outside the realm of real estate brokerage. All Coming Soon listings in NYC are simultaneously syndicated to the REBNY RLS. Compass makes no representation or guarantee that Coming Soons are available in your region, or that its use will result in the benefits described herein. Buyers: Get after it; inventory surplus means major opportunity. The Fed will likely raise rates again in December and early next year, so while they will still be historically low, time is of the essence. For every point mortgage rates increase, your monthly payments rise roughly 13%. If you're not ready, it's a great time to come see me for a "future buyer" talk and formulate a plan. Sellers: Don't believe the naysayers. Yes, if you have a very expensive and specific property, the buyer pool is smaller and you need to speak to your agent about a specific strategy. But correct pricing and quality marketing overcome market softness. 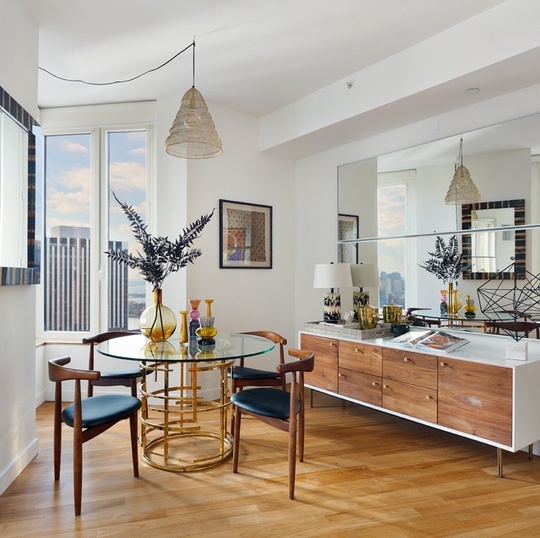 We sold a penthouse in Harlem for a record price after two weeks. And even in the higher price points, more apartments are starting to go into contract, because buyers are finally getting active. Everyone needs a place to live, and people will always be moving to NYC, so while you may not get the aspirational price from the top of the bubble, you can sell. Renters: Rents are beginning to increase again after sliding for the past year (how much depends on the neighborhood). If you can move at a less desirable time, 11/1 - 2/28, you may still be able to negotiate a better deal. Avoid 18 month leases that will put your renewal smack-dab in the summer, though, and aim for mid-May at the latest. And everyone, be on the lookout for VIDEO coming your way in the near future. Bad landlords can get away with a lot, but if they fail to supply heat and/or hot water during the winter, it's a BIG deal. You can generally get even the slummiest slumlord to restore services within 48 hours. Curbed has you covered with this article on how to proceed. Or you can call yours truly. I've written before about buyers' hesitation to buy, waiting for the market to "bottom out" or the political climate to make more sense. Renting can also be attractive for its low commitment and many amenities. Unfortunately, this has caused rents to rise in the largest jump since 2015. Will this help motivate buyers? Read more details from Bloomberg here. I may have been depressed and injured, but I still managed to get out and see a few incredible things this month. Big thanks to all my friends who inspired these journeys when I just wanted to hide under my bed! When I hurt my knee at the beginning of October I cried. Then I took a few days off and remembered how nice it is not to run 25+ miles a week. While I have to wait for 2019 to finally participate, I got to watch friends and family complete this year's race, and cheer on some strangers as well. It's the most inspiring and emotional city event of the year, as runners travel through five boroughs of cheering crowds before finishing in Central Park. One of the many reasons I do real estate is an obsession with interior design. I grew up in a house built over the span of two centuries, and its contents reflected this. LoveHouse is a recently-launched gallery and online store showcasing "curated vintage & eclectic design," a similar mix of modern pieces, custom commissions, and refurbished antiques. Their beautiful space in Greenpoint is definitely worth a visit. Look out for these guys in their new storefront in the near-ish future, and as stagers for some of my listings next year! Storm King is not in the city, but it's a one hour car ride North along the Hudson (or a short Metro North trip). The drive itself is beautiful, especially with the fall foliage, but I managed not to plunge into a ravine from distraction. Once you arrive at Storm King, it's no less magnificent. A massive outdoor sculpture garden spanning 500 acres, with a design/sculpture museum in the center, it's a great way to spend a Saturday or Sunday afternoon. After walking the grounds, head to Brother's Barbecue and treat yourself to an upsetting amount of food. Tell Debi we sent you. What is the Buying Process and How Long Does it Take? Never miss a post; sign up for my monthly newsletter. I will not send you spam.